With more than 6,300 hotels, Choice Hotels International is one of the largest lodging companies in the world, franchising eleven well-known hotel brand names that include Comfort Inn, Comfort Suites, Sleep Inn, EconoLodge and Cambria Suites. 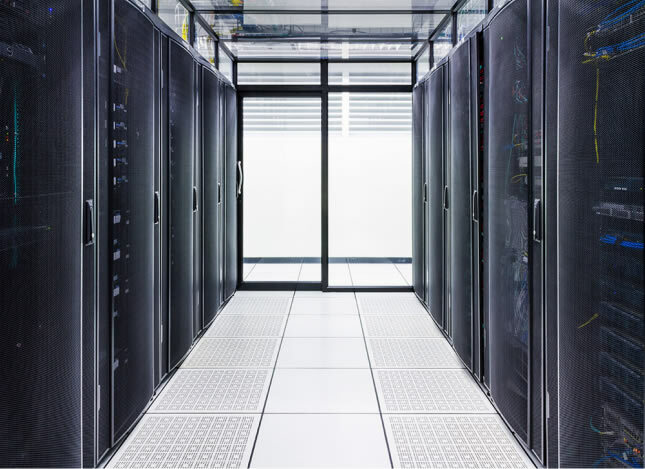 To streamline costs and improve efficiencies, the company decided to move from a traditional data center to a remote “lights-out” colocation model. At the heart of Choice Hotels is its global reservation system that handles all hotel transactions. Every time someone makes a reservation, checks in or out of one of the 500,000 guest rooms, or looks up rooms online, the transaction goes through Choice’s data center. Any disruption in service could result in lost revenue and dissatisfied customers. The challenge was to make the move and operate the new “lights-out” data center, located more than an hour away from the IT team — without missing a beat. “We would need to maintain our high level of operational support in a data center in which we are not physically located,” says Gregg Brown, Senior Administrator of Data Center Operation at Choice Hotels. So Brown and his team tapped Raritan to create a virtual presence in the new data center. To support the hotel’s business needs and to meet “three nines” service level agreements (SLAs) that guarantee speed and availability for reservations, Choice Hotels deployed new remote management technologies to manage its servers and data center infrastructure. As part of the solution evaluation process, Choice visited a number of colocation facilities throughout the United States to learn how other companies managed remote data centers. “As we did our analysis, Raritan kept floating to the top in terms of remote management capabilities in power, KVM, and DCIM,” says Brown. The iPDUs also serve as an intelligent platform for environmental monitoring. Choice Hotels purchased Raritan’s humidity/temperature sensors that plug into the iPDU sensor port. “Since there are two PDUs in each cabinet, one gets a forward sensor and one gets a rear sensor. As a result, we can monitor the incoming and outgoing air temperature and humidity,” says Brown. A Web-based GUI enables data center managers to monitor sensors remotely and report and plot values in real-time or over a period of time. The information is used to ensure the data center environment is optimal for equipment operations. For additional insight, information gathered by the iPDUs and sensors are analyzed and monitored by Raritan’s Power IQ energy management software. The software tracks power consumption trends for each of Choice’s servers, including those with dual- and quad-power supplies. The analytics component can show which devices may be operating inefficiently based on energy consumption trends, whether power conservation efforts are working, and if there are hot spots or over-cooled areas. The information serves as an early indicator of trouble. “If we see changes in power consumption, we’ll check the server to see if it is balanced or if its airflow is blocked,” says Brown. Power IQ also can perform cost-of-ownership analysis. “In the colo model, you pay for the power that is used. Power IQ lets us track our power consumption so that we can verify that we are being charged accurately,” says Brown. To access servers, including VMware servers, from anywhere, Choice Hotels added digital KVM switches to its new colo data center. It also implemented Raritan’s Command Center SecureGateway to simplify access to equipment connected to all the KVMs. “We were impressed when we saw the Raritan KXII KVM switch. Its graphical user interface provides secure access to servers and devices using an internet browser,” says Brown. Today when a new cabinet is deployed in Choice’s colocation facility it includes: two Raritan intelligent rack PDUs, two Raritan humidity/temperature sensors, one Raritan KVM switch, and two network switches. To keep pace with the company’s rapid growth, the new standard cabinet configuration provides a turnkey solution that is easy and quick to deploy, and provides all the functionality for managing and keeping an eye on new equipment. The company keeps in its colo cage extra PDUs, KVMs and sensors — all ready to deploy if a new cabinet is needed. Choice Hotels uses Raritan’s in-the-rack electronic asset management solutions to ensure that third-party colo personnel work on the correct equipment. The asset management strip’s LED lights blink to identify the correct server to work on. In addition, each server has an asset tag that sends a signal when a server is installed or disconnected. “We know anytime a server has been installed or unracked.” It also helps Choice Hotels keep accurate, real-time inventory of servers and other IT assets. To further help workers in identifying equipment in the data center, Choice Hotels decided to use Raritan’s color iPDUs and cables in red and blue. The colors help distinguish between A feeds and B feeds for powering servers and other devices with multiple power supplies. Color also makes it easier to identify and locate rack PDUs, and all power chain components, at a distance, from any angle and in all lighting situations. Choice Hotels plans to uses the electronic asset management solution in concert with Raritan’s DCIM (data center infrastructure management) software. The DCIM solution will replace spreadsheets now used by Choice Hotels to track assets, and will provide new capabilities such as managing power and space capacity, as well as equipment additions, moves and changes. “We want to be able to give our operations staff a complete picture of the data center so they can see every detail at the cabinet level,” says Brown. “You click on the DCIM screen, and it’ll go down to the elevation view, and see accurate information about that server, including its location, its operating systems, serial number, and what network port it is using. How to manage new data center at “lightsout” colo facility. How to keep tabs on assets and whether third-party colo personnel move correct server/equipment. How to track energy usage and environmental conditions in remote cabinets. Gain operational insight and operate more efficiently. Increase uptime and meet and exceed SLAs. Track energy usage at colo, so pay for only what you use. Securely access to every server’s KVM console through a single URL. Reduce operational costs by eliminating hour-long trips to data center. Gather information on individual devices and aggregated across multiple power supplies. Monitor incoming and outgoing air temperatures and humidity in server racks. Ensure third-party colo personnel move the server you want them to move.